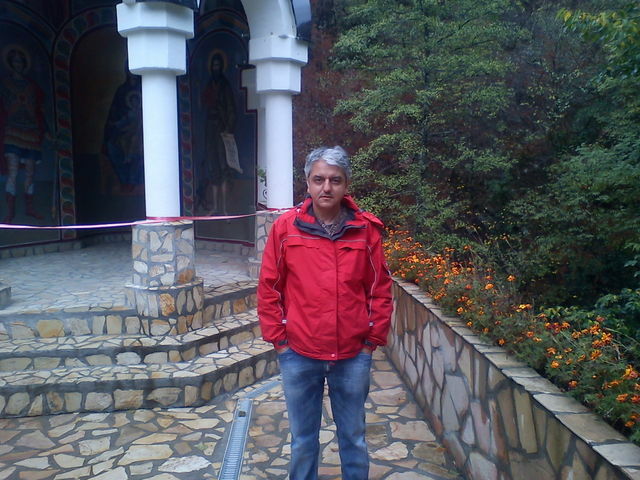 My name is Dragan Prodanovic, I'm male and 52 Years old. My Sign of Zodiac is capricorn. I live in Vlasenica, Bosnia/Herzegovina. On Flirtic.com I've been registered for 27.10.2012 years. I like to listen to Marty Friedman, Carrie Underwood, Rapidforce, Iron Maiden, Smak, Azra, Nightwish, Manowar, Heart, Queen, Cream, Testament, Rush, Jimi Hendrix, The Cars, Dokken, Bonnie Tyler, Avril Lavigne, Boston, Poison, Creedence Clearwater Revival, Genesis, Jeff Beck, Foreigner, Dimmu Borgir, W.A.S.P., Alice Cooper, Leb i Sol, Duran Duran, Fergie, Liv Tyler, Sepultura, Adele, James Brown, Rainbow, Epica, SVI NA POD!, Kamelot, Bo Diddley, Jason Becker, Garry Moore, Bob Dylan, Biff Byford, Mötley Crüe, Herbie Hancock, Dream Theater, Joe Satriani, Eddie Van Halen, Avantasia, Dave Mustaine, Aretha Franklin, Anthrax, Orianthi, UFO, Primal Fear, Joe Cocker, Destruction, Ritam Nereda, Oasis, Europe, Aerosmith, Annie Lennox, Beth Hart, Bob Marley, Accept, Dado Topić, Overkill, Joan Jett and the Blackhearts, Carlos Santana, Billy Idol, Gotthard, Lemmy, Deep Purple, John Lennon, Rhapsody Of Fire, Korpiklaani, Sebastian Bach, Black Sabbath, Jimmy Page, Pantera, Doro, Chuck Berry, Jon Bon Jovi, Scorpions, Bon Jovi, Slash, Steve Va.